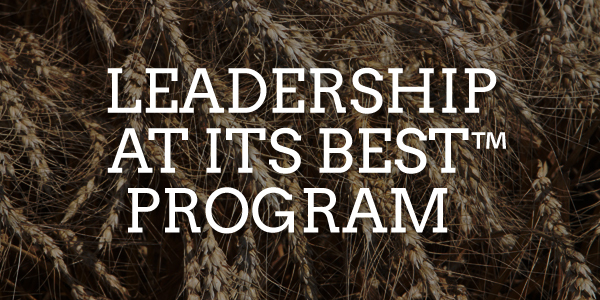 Thanks to the generous support of our agribusiness sponsors, NWF offers several leadership development programs each year to wheat growers across the country. 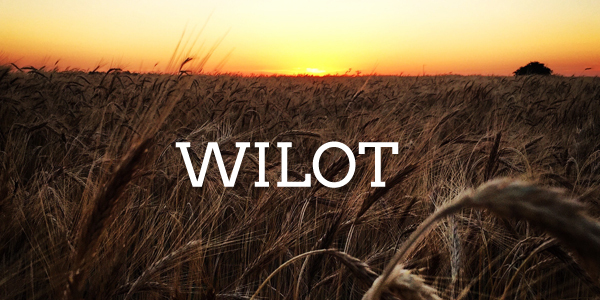 These programs provide training for the next generation of leaders in the wheat industry and are a critical investment in our future. 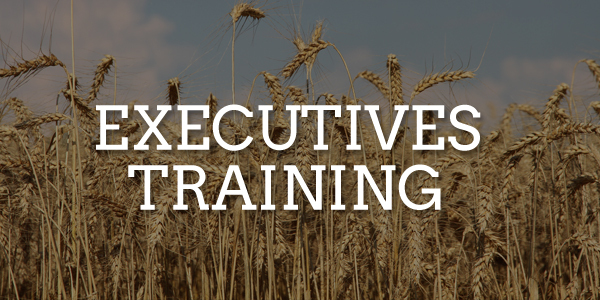 Sponsored by Bayer CropScience, this annual program provides advanced leadership training for state wheat grower leaders who will soon become part of the NAWG Board of Directors. The program focuses on the responsibilities of Board members, governance, media relations and lobbying. 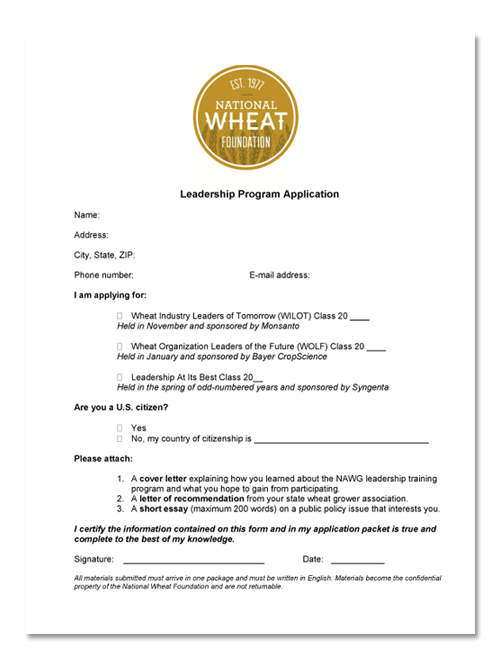 Sponsored and produced annually by Monsanto in partnership with the Foundation, this program is targeted at producers who want to become more involved in wheat grower associations and includes sessions on leadership styles and communication; major policy and economic issues facing the agricultural industry; and effectively engaging the public through new and traditional media outlets. A project of the NWF and Syngenta, this program is designed to engage women in farm management and leadership. The program is held biannually, with sessions focusing on the policy process, media training, communication styles, public speaking and leadership skills. The Foundation also provides NAWG state executives’ training with sponsorship from Syngenta. This program is designed to allow state staff leaders to continue to develop their leadership skills as well as obtain more information on developing their state associations. Do You Want to Apply for a Leadership Training Program? The Foundation has a standardized application for the four leadership training programs, available here . Complete the application and attach the corresponding information.